← Bake And Destroy Chicago Premier! 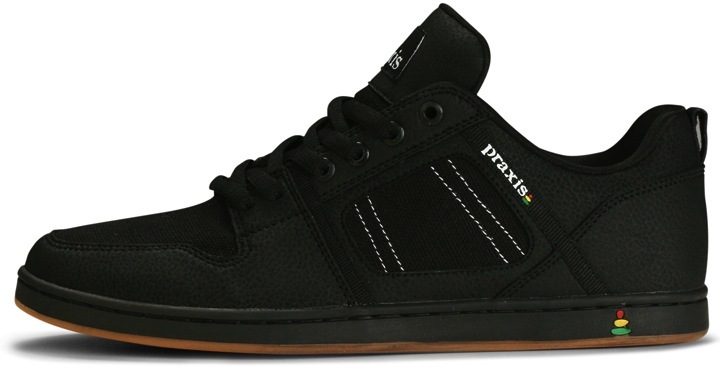 The Core is the one of the first two vegan skateboard shoes from Praxis. The lower cut of the Core has many of the elements that you think of when you think classic skateboard shoe: cup soled, padded, and double stitching everywhere! After all, Praxis as we mentioned in our review of the Elemental is a core-skate company focused like a laser on the skateboard community. The Core features a textured synthetic-leather and hemp upper in black. The pebbled textured on the synthetic-leather gives a little extra style to an otherwise toned down look. The collar has a nice cut around the ankle with a nice bit of padding without making the shoe look fat. The tongue is thin but still has some cushioning to keep your feet comfortable. 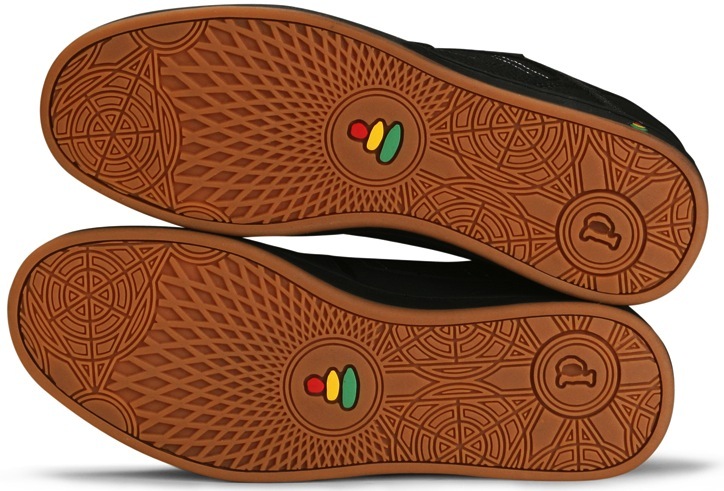 The combo of hemp and synthetic-leather make the shoe extremely breathable while providing significant skate life! 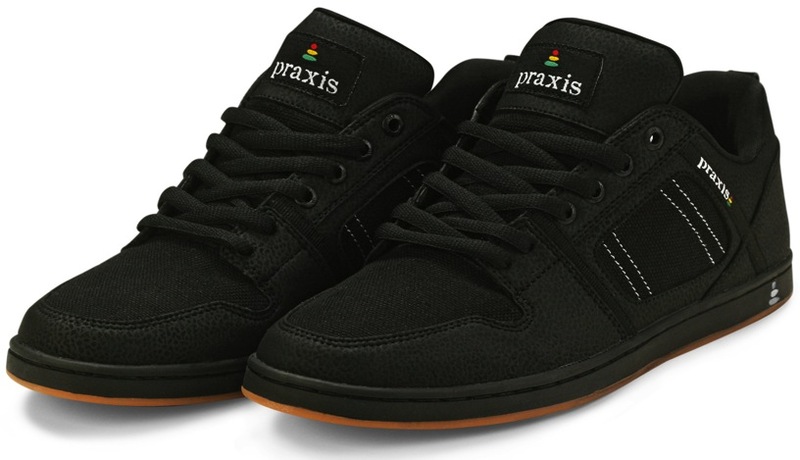 Praxis’s “Sacred Sole,” which is featured across the entire line of shoes manages to be extremely light, flexible, and durable! It feels so close to the board you’ll think its a vulc, but it has the style and comfort of a cupsole. Not to mention the unique pattern. I bought these shoes the other day from Cowtown Skateboards’ site, but I haven’t skated in them yet. (looks up at sky with fingers crossed) Please be good shoes!